The past sixteen months of my life have been lived in two-week increments. Infertility does that to you. It robs you of the present and leaves you wishing away weeks of your life, placing all of your hope on something that might never be. The past several months have been particularly painful. Time is slipping through our fingers and I have felt us running out of time. But, life has a funny way of handing you something when you truly need it. I was recently invited to create a Mother’s Day photo book with Snapfish and although I’ve made them for others, I don’t yet have one of my own, so I jumped at the opportunity. She smelled like sugar and somehow she felt simultaneously light and heavy in my arms. Though I often think about her infancy, it’s more as a whole. How she nursed, drooled, and wooed me with her smile. As I looked through the photos, the small details came rushing back. Her skin was so creamy and soft and those rosy cheeks simply required constant kissing. When I came upon these photos of her first camping trip, I smiled at the thought that, at one year old, this was the first time I let her get dirty and she loved every single filthy second of it. These beads were her favorite accessory for weeks, yet somehow I forgot about them until I saw this photo. Katie’s hair now reaches all the way down her back. This picture of her teeny ponytails still melts my heart. I had forgotten about this day in my bathroom when she came in to show me her tutu and slipper ensemble. By this time, I was pregnant with Matthew. I remember thinking that Katie was such a big girl then, but when I look at these photos, all I see is baby. There are a handful of photos that transport me back completely. I love this one of Katie running and squealing. Oh…the snow. And the joy. I loved that the Snapfish layout allowed me to use so many photos from this series that we took on our weekend at the mountains. These two children have shown me happiness that I could have never imagined. They are everything…they are what matters. I was, of course, thrilled at the idea of having a Snapfish photo book of my own. What I didn’t anticipate is the way simply creating my book would bring me so much joy and help me to regain my perspective. My infertility doesn’t define me. The love that I have for these two miracles of ours does. The process of making this book was such an incredible gift. Every mother should have the chance to sit down and get lost in her photos for an afternoon. When you’re asked what you want for Mother’s Day this year, ask for a glass of wine and time to create your own Snapfish photo book. With two lovely Mother’s Day themes from which to choose and super easy, creative templates, you’ll be thrilled with your final product. Go, make yourself a Snapfish photo book, a gift that you’ll hold close to your heart for always. This post is sponsored by Snapfish as part of their support of the LISTEN TO YOUR MOTHER SHOW 2012 series of Mother’s Day performances. I am reading at the San Francisco show on May 10th. Beautiful post. That's a wonderful gift to be able to sit and reflect on those times. What a lovely post Nichole, I am so glad you got to re-live these moments again. getting all teary over this one! love! Just beautiful. Nichole, I'm so glad I know you and I'm so honored by your contributions to LTYM. Thank you for sharing this. Dealing with infertility is such a hard road. What a lovely gift – being able to look at those pictures of your gorgeous kids and spend an afternoon to do it. What a great idea! I created a book for Eddie of his "second year" since I couldn't keep up with scrapbooking fast enough to have one at his second birthday. Not only was it fun for me, but it has an unexpected effect…Eddie LOVES it! He calls it the "Eddie book" and chooses it some nights as his bed time book! I can't wait to make another one (SOON! EEK!) for his third year to be at his third birthday in June! Oh, how precious. I love the story of your book. Isn't it funny the memories that come flooding back while looking at pictures! What a beautiful and bittersweet reminder. I can relate to your infertility struggles and this really touches my heart. The fullness of this post makes me happy. Precious. I love looking through old pictures, transports me right back into the moment. Love, love, love. Your children are gorgeous and joyful. It doesn't define you at all. You are a wonderful mommy. I haven't made my son's 1st year book yet only because it brings back a lot of painful memories of postpartum depression but the years after? So sweet. It evokes such happiness and love. how do you get anything done? Honestly I would just sit around and look at my kids all day. Your children are GORGEOUS! and as always my heart sits with your heart on your infertility journey. I hope you know how much love and hope you're wrapped in my friend. 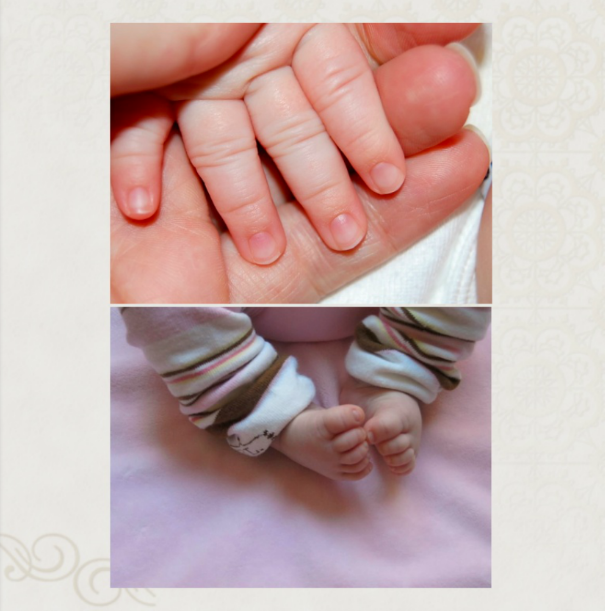 I am all teary over these beautiful children…and their beautiful mommy's words. Sigh…they sure have grown! I think we all forget the satisfaction of creating albums now that we're able to store photos on our phones and computers. Agreed that the completed book is an added bonus to the precious time spent reminiscing. Well done! Awesome! I need to do something like that, though not for Mothers Day. This is beautiful, Nichole. And what precious photos! Absolutely precious. What a beautiful post. My favorite line is "My infertility doesn’t define me." This made me cry for all the reasons only you understand. We are so very lucky to have the children we do and we should never take one moment of their existence for granted. We hoped and prayed for them just as hard as we are a new life in our worlds. Thank you for this tender reminder. Oh and these photos are simply heart melting. Your kiddos are gorgeous. It's amazing how putting together some pictures can give you such peace, happiness and perspective. I have 3 beautiful children and the amount of time I spent depressed and hurting because a 4th wasn't happening instead of enjoying the children I had right in front of me.. That is something I struggle with the most. Those two week increments of hope, waiting and devastation are just heartbreaking, and after a year + of the constant roller coaster, I'm numb. Perhaps a photo book should be in my future. parents should remind these continually to accomplish the right point. high-priced, nevertheless the most important factor to remember is what you want.